NEW DELHI: The farm policy needs to be reworked with a focus on promoting water-use efficiency and other climate-smart agricultural practices, National Rainfed Area Authority (NRAA) CEO Ashok Dalwai said today. Both scientists and policymakers need to sit together and decide about the technologies that should be developed and scaled up to address the challenges of climate change, he said. 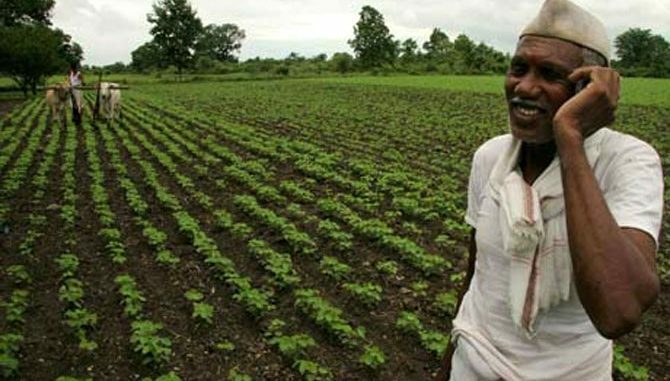 “India has never been doing climate-smart agriculture. We are cultivating water guzzling crops like sugarcane and paddy in areas where there is no water. We have never produced crops as per the climate,” Dalwai said addressing an event here. Farm practices need to be adopted as per the climatic conditions and availability of natural resources, he said, adding that there is a need to change the farm policy keeping in mind the future challenges of climate change. Climate change is a reality, he said adding that southwest monsoon, which was to withdraw by September-end, is still active in South India and affecting harvest-ready kharif crops and the farming community. The need of the hour is to adopt science-based agriculture, he said while suggesting shifting some area to tree-based agriculture from water-guzzling cereals to contain green house gas emissions, and growing crops with water-use efficiency. Speaking on the occasion, National Bank for Agriculture and Rural Development (NABARD) chairman Harsh Kumar Bhanwala said the farm policy should be framed to promote water-based productivity of crops instead of land-based. Since 52 per cent of agri-land is rainfed, farmers’ distress can be mitigated by promoting water conservation, constructing watersheds, among other climate-smart farming practices. Farmers’ distress and suicides are more in areas with no forest cover and watersheds. “In north east which has more forest cover, there have not been incidents of farmers’ suicides so far,” he observed. Minister of State for Agriculture Krishna Raj was also present at the two-day event that will deliberate on climate- smart farm technologies and innovations.